I was thinking about this hack, and looked a little bit into it. 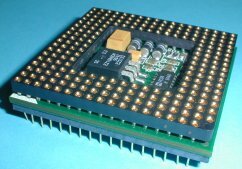 Hardware-wise, it looks like a 060 CPU can be inserted into an 040 socket with little modification. In the conversion, the supply voltage voltage is dropped to 3.3V, clock speed may need to be adjusted, and I am guessing some of the extra pins on the 060 become unused (NC). There are some somewhat simple adapters to do the conversion that I have seen online. Some adapters were manufactured at some point during the transition of 040 to 060 that didn't really take-off. I am wondering if any of the Mac ROM hackers out there have ideas on implementing the patches the Amiga guys have been using to apply similar patches the Mac ROM, since we now have the capability to flash new ROMs. Is it at all feasible? Or perhaps in the case of a Daystar Turbo, to modify its ROM to apply patches for the 060? Sounds like an interesting challenge. From a software side, it seems like the easiest first step would be trying to hackup an emulator to try to use an 060 engine instead of 040, since there's going to be lots of debugging during the very early stages of bringup. I haven't looked at the 060 at all, so have no idea of the differences either electrically, or in the instruction set. It seems like at least for regular old CPU instructions, you could handle any unimplemented instructions in an illegal instruction trap. Dunno about MMU or any of the more advanced features. If i remember, there was a discussion on this in the past, Isnt the 060 a different machine language? I cant remember but I do remember a discussion back at 68kmla about the 68060. From what I've seen, the instruction set for the 060 is a subset of the 040. I looked at the 060 datasheet, and there is a section explaining the electrical differences. Besides the ROM patching, it seems somewhat plug & play. I started digging into this potential hack after seeing a bunch of mentions by Amiga guys upgrading their 040 accelerators with 060 CPUs. They mention they required ROM patches to be able to boot. And some of the accelerator boards were conveniently designed to run at 3.3V for the LV version of the 040 or I guess future 060 compatibility. It's a pretty neat package, the offer price is quite high though. I wonder if it is pretty much equivalent to that homebrew version in my previous post. For your system board to be compatible with the S68060-2, a few conditions need to be met. The skew between leading edges of the BCLK and PCLK signals should be no more than 1ns, and the 68060 should not have to perform bus snooping. 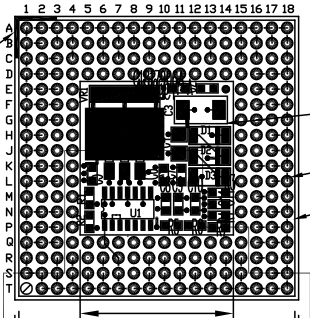 The 060/040 overall sizes are the same and the pin layouts are similar with the main difference of extra interior pins. •Software emulation for integer instructions not implemented in MC68060 hardware via the new unimplemented integer instruction exception. •System V ABI-compliant library subroutines to help avoid using unimplemented integer instructions. 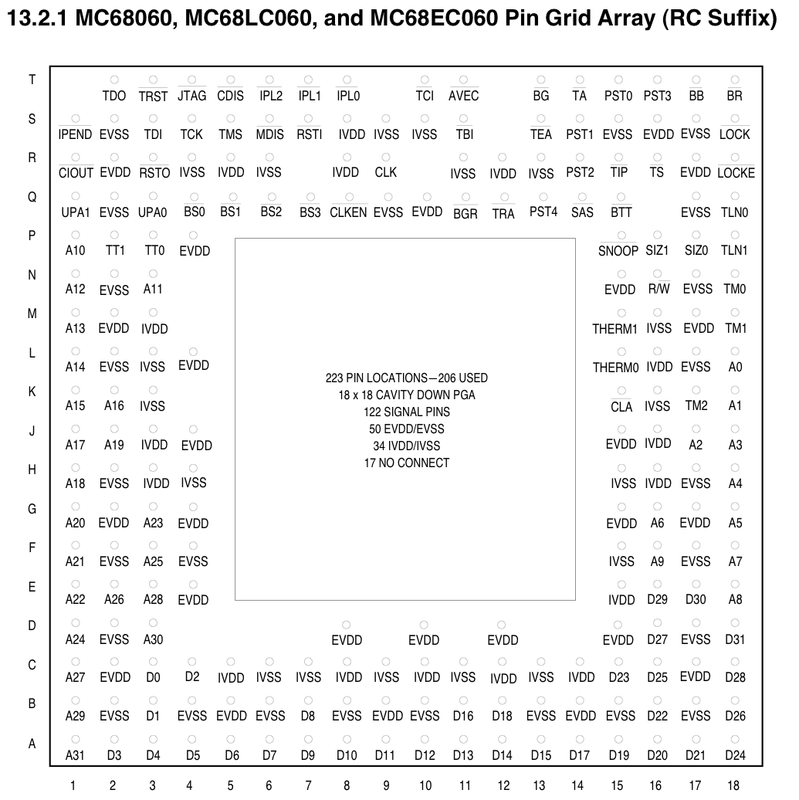 •IEEE floating-point support for the on-chip floating-point unit (FPU) as well as software emulation of floating-point instructions, data types, and addressing modes not implemented in MC68060 hardware. •System V ABI-compliant library subroutines to help avoid using unimplemented float- ing-point instructions. I agree, trying the simplest implementation first would be best. And also bbraun's suggestion about getting it done in emulation first. I think even if the hack just got to the simple implementation, there would be, I'm guessing, about a 2X speed bump since the 060 clock speed would be 2X the 040 clock speed. Without swapping an XTAL, an 060 CPU on Quadra machines would really run at 50-80MHz unlike the 040 CPUs. provided by the host operating system (this also applies to the 68040). Nice, 060's don't seem very available, do you have a source for them other than the $$$ amiga upgrades? Not really, just the usual places. They can be found loose and they are not hard to find, just a bit pricey. 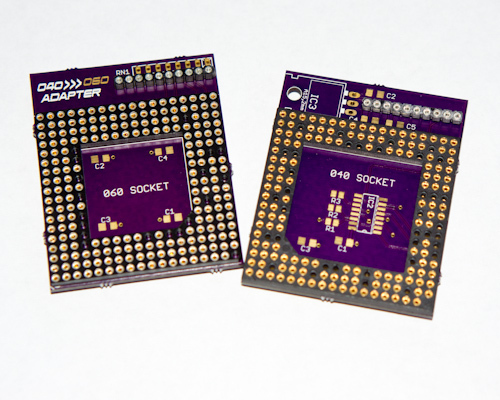 Here's a pic of the boards with sockets. I haven't soldered anything yet. I'm waiting for the voltage regulator and the multiplexer to arrive. 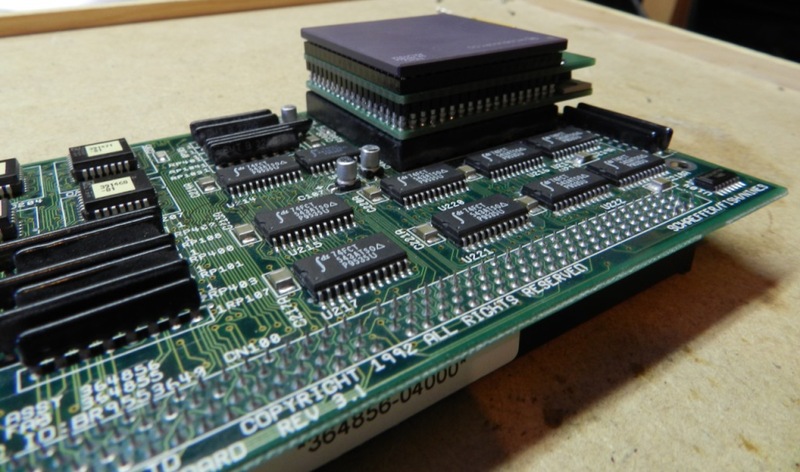 I wish I knew someone local to me (SF Bay Area) with some Amiga gear so I could test out the board and CPU. Howdy, guys. Went ahead and registered since bbraun hangs out here. Speaking of which, if the 060 upgrade requires a custom ROM, could dougg3's ROM be used to solve that problem? Welcome aboard! Yeah, it would likely require a custom ROM using dougg3's ROM SIMM. Just shooting from the hip here, but at least to start, it probably will need some patches to the cache and MMU setup, and then try to patch out the FPU checks to disable ROM use of the FPU. It's probably easier, at least initially, to get working without FPU, then work on enabling the FPU as an INIT, and then possibly move that into the custom ROM. I started assembly of the adapter a couple weeks ago but found that the voltage converter required some extra spacing, between the two PCBs, and I didn't like it, so I tweaked the design of the top board, which should solve that issue. I just ordered a new batch of boards and they are off to the fab.